Panic began as so many things do in Carp, a poor town o From New York Times bestselling author Lauren Oliver comes an extraordinary novel of fear, friendship, courage, and hope that Kirkus Reviews says "will have readers up until the wee hours," School Library Journal raves is "fast-paced and captivating," and E. Lockhart, author of We Were Liars, calls "a thrill a minute." 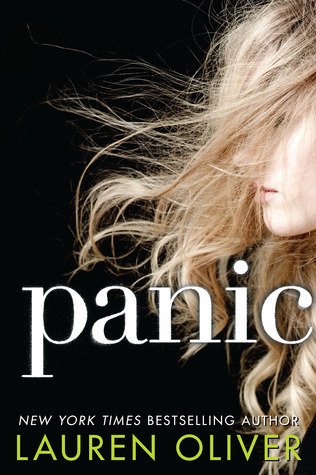 To ask other readers questions about Panic, please sign up. I, personally, haven't read this yet, but reading the blurb gives me a vibe that this is like Divergent. Is that true? Is this book diverse enough to be it's own thing? If it is, I'll definitely give it a go! I love Lauren Oliver's books, but i'm worried that this book will be really similar to The Hunger Games and Divergent. Is it similar and is it worth reading? Honestly, I love Lauren Oliver as much as the next person, I think she's very talented and creative. Am I the only one who realises? To me, it practically screams Hunger. Games. But to be fair, I'm going to read it in respect to Lauren Oliver and to actually see if it will be a Hunger Games repeat. A "stand-alone" book? In the YA genre? By someone who's already had an extremely successful trilogy with FOUR bridges? And I am TOTALLY alright with that. Update 7/17: Cover = simple and sleek. Me likey. The name of the game is Panic, the name of the book should be Desperation, because this book is a psychological study of despair, anger, revenge. It's about the claustrophobia of growing up poor, the seething fury of revenge, the fear of a future you cannot contemplate. It is about love and loss, friendships and broken hearts; it is a literal rite of passage in a small town. I have read Lauren Oliver's books before, regardless of the book or whatever problems I have with them, one thing remains consistent: the characters in her books are intensely realistic and believable. The teens featured in this book are no exception. I don't know why the hell this book was shelved under "sci-fi" or "dystopia." It is neither. What it is is a contemporary romance dealing with a lot of emotional issues. It is about growing up. It is about facing your fears, whether they be physical or emotional. Summary: Panic is a game invented by the necessity of boredom in the little town of Carp. It is a dead-end town, the type of town that you want to escape the moment you graduate from high school. Every year, a "tax," $1 a day, is collected from the town's students. At the end of the year, those who choose to participate in Panic gets a chance to win the jackpot. For many, it is a winning ticket out of town, into the possibilities of riches and glory of Hollywood. For Heather, it is a spur-of-the-moment decision, stemming from the temporary insanity of heartbreak, and the emptiness of the future after graduation. Matt was gone. School was over. Not that she’d ever liked school, but still. It got her out of the house; it was something to do. Now everything was over and done. It occurred to her that this was her life: vast and empty, like a coin dropping down a bottomless well. "The bets are in. The game is on. A sister’s legs for a brother’s life." The game lasts the entire summer. There will only be one winner. Every challenge will eliminate a player. They will risk their life, they will go beyond the edges of fear. They will know how much they are willing to sacrifice in the name of love, family, friendship, all to win the prize. Friendships will be made. Betrayals will occur. Before the end of the summer, someone will die. The Setting: A stiflingly small town, with a very definite social class division, from middle class to solidly bottom of the ladder. The characters stretch from the poorest of the poor, living in Meth Row (the manufacture of methampetamine is a thriving underbelly), to the Fresh Pine Mobile Park, to rows of identical houses with white picket fances. The atmosphere of the small town and the claustrophobia it induces is very well depicted. The Plot: I've seen reviews that thinks this book is a modern-day Hunger Games. It is not. The pacing is not the same, the plot is not the same. I've said before that it is a psychological study, and that is the majority of what it is. The pace is slow initially. The game gets going, but it doesn't get the reader and the participants psychologically involved until around 50% into the book. Before that, the plot itself is more introspective, as we learn about the characters and their respective interests and personality. The Characters: Without a doubt, the best thing about the book. The characters were so well drawn. There are 2 main characters, 2 supporting ones, and they all are very well distinct and portrayed. Heather: One of the main narrators, a broken-hearted girl who participates in the game out of sheer heartbreak. You know how after a bad breakup, you feel the tendency to do something intensely stupid, out of your character? Heather is the personification of that. Her boyfriend, Matt, broke up with her to be with another girl, and like a typical teenaged girl in love, she cannot contemplate a future without him. Heather is a weak character to start, and we see her grow up as the book progresses. We see her emotional breakdown, her overdramatization of her situation, as she contemplates who she is without her boyfriend. For a second, she thought of telling him the truth: that when Matt had dumped her, she had understood for the first time that she was a complete and total nobody. There is a boy in her life, her lifelong friend, Bishop, who she has mostly seen only as a friend, until now. Heather realized that he really wasn’t a boy anymore. Somehow, when she wasn’t looking, he had become a guy—tall and strong, with a stubborn chin and a girlfriend and opinions she didn’t share. She felt an ache in her stomach, a sense of loss and a sense of wanting. Heather's story is one of growing up in a broken home, her mother is hardly a mother, her little sister a beloved 11-year old girl growing up too fast. Heather herself sees her future as hopeless. Throughout the summer, we see her mature, grow stronger, take on more responsibility. Heather makes mistakes, she grows through them. Dodge: The outcast from the wrong side of the tracks. Also from a broken family, he has a dad he has never known, a mother with a string of boyfriends, and a beloved older sister whose body has been broken by the fault of the school bully. Unlike Heather, Dodge has a very definite mission for Panic: he wants to win, and he wants to get revenge. Nat started to laugh. “Revenge?” she repeated. Heather realized she hadn’t misheard. I found his character to be sympathetic, but not an altogether believable male voice at times. Dodge has a lot of romanticism inside his head for a character who is so hardened by nature, and some of his thoughts---however male and however laughable---is really, really silly, no matter how reflective they may be of the workings of a teenaged boy's mind. Her hair was fixed low, in a side ponytail, and she was wearing a ruffled yellow jumper-type thing, with the shirt and shorts attached, that would have looked stupid on anyone else. But on her it looked amazing, like she was some kind of life-size, exotic Popsicle. He couldn’t help but think that whenever she had to use the bathroom she’d have to get totally undressed. I loved Dodge's fury, his drive for vengeance. His almost maddening pursuit for justice endears me to him, and I understand his anger. Dodge has internal demons to slay, and I loved how his story came to pass. The other characters in the book are Nat and Bishop, Heather's best friends. The portrayal of friendship is wonderful in this book. It depicts the minor jealousies and difficulties between friends who have been there for each other their entire lives. It is a realiztic portrayal of friendship; friendship is never, ever perfect, and this book shows that so well. It shows that you can never know the truth about someone, despite knowing them your entire life. She thought of the way that Nat always liked things even, straight down the middle. How sometimes she showered more than once a day. The taps and tongue clicks. Stuff she’d mostly ignored, because she was so used to it. Another blind spot between people. The Romance: A little heavy-handed, but it is to be expected in a contemporary novel, and I didn't mind it at all. Teenaged hormones are in the air in a small town such as this, and the romance is realistic, the growth of friendship into love, instead of insta-love or attraction. Love is not always easy, and it needs to be brutally honest. Sometimes, it takes the person you love to tell you what's in front of your nose before you realize it. Overall: a slow-paced, but tension-filled psychological portrayal of a small town and the people within it. What is Panic? That's the question everyone seems to be asking. The book summary says it's a legendary, high stakes game played by graduating seniors in a dead-end town because there's nothing else to do. Those who've read the blurb seem to think it'll be the next Hunger Games. Frankly, I'm just surprised for a well known author as Lauren Oliver and a summary that couldn't be clearer, nobody seems to have a clue, and the people who do know aren't saying. Well, I'm saying, and here's my take: it' What is Panic? That's the question everyone seems to be asking. The book summary says it's a legendary, high stakes game played by graduating seniors in a dead-end town because there's nothing else to do. Those who've read the blurb seem to think it'll be the next Hunger Games. Frankly, I'm just surprised for a well known author as Lauren Oliver and a summary that couldn't be clearer, nobody seems to have a clue, and the people who do know aren't saying. Well, I'm saying, and here's my take: it's a shame nobody has a clue what Panic really is, because to truly enjoy and appreciate Lauren Oliver's newest book, you have to know, really know, what it's about. What Panic is is a gritty contemporary set in dying small town America. It's about a group of teenagers who put their lives on the line, yes because they have nothing better to do, but really because it's the kind of town where everyone wants out but the only ticket any of them can afford is the one they can get only by pooling their money together - and it pays for only one person, of course. It might be hard to imagine, but there really are towns like Carp out there, heck whole cities even *cough* Detroit, and what I really like is how, behind the sob stories and the tearjerker moments of the individual players, Oliver's story captures the hopelessness and desperation of living in these towns, where everyone wants out simply because the truth is there isn't a future left by staying. Is Panic just a dumb game? Maybe. But it's also a golden ticket, an answer to a hopeless situation, a high stakes event with life changing repercussions - for the winner and the losers - and I like how the dumb game is really a foil for a story that's really about taking that one chance because these are towns that have left their residents broken and with nothing left to lose. Even better, Oliver's made sure that that desperation comes through with every one of her characters. I'm not going to lie, these characters are unlikeable, they can be selfish, they can be self-centered, they can be vindictive, but that's also what makes them human. None of them have deep motives or anything, but that's the beauty of this story, they're desperate, they want out. In a way, Panic asks a very simple question - what would you do to win sixty grand? - but unlike any other story, Heather, Nat, and the other contestants, they're hungry for the money in a way others aren't, all thanks to this dead-end town of no prospects. And as a cautionary tale, there's Dodge, the only one not in it for the money, the one who knows, even if he doesn't understand, just how badly the greed and the desperation can turn out. It's this backdrop, this broken town of desperate people all needing that one payday because they've convinced themselves it's the one ticket to a future, and not the personal problems of any one character - although they are many, that makes Oliver's story work. Of course, I'm not saying Panic can't be read as teens playing, you know, Panic, the game. Lauren Oliver does a great job writing the challenges that are part of the game, and even if I think the dead-end town feel is what makes the book, I did enjoy the challenges themselves too. I'd like to think of myself as someone who's read just about everything, but who knew she could make stealing guns from a drunk guy suspenseful and exciting? And not to spoil all the challenges, but later on I really liked how she could connect the final few eliminations back to that question I talked about earlier - just how desperate are you to win sixty grand? - so the book really works on two levels, the competition to win the prize as the summary teases but also the story of these towns where a crazy game like Panic can seem like a lifeline. In fact, I really only have two nitpicks - Panic doesn't have the best of starts with the way Heather's character is introduced and her really cliched reasons for initially participating in the game (cheating boyfriend lol) and the ending is kind of a letdown with its forced sense of closure, but otherwise, what a great story about a town of broken people. I bet this book will be loved by so many readers. After all, it has quite a it of potential, it's not badly written, and - thanks to all the literary gods - it mercifully lacks the unavoidable first-person narration that plagues the YA subset of literature. For me, however, it fell a bit flat. And that's disappointing. I did appreciate what Lauren Oliver (a relatively new author for me, by the way - I only read her sweet and adorable children's story 'Liesl and Po') tried to do here. She tried to tackle uncomfortable themes and take a YA story outside of its usual confines by giving a view of the real world that can be quite uncomfortable. I see where she wanted to take this story and what she tried - and actually succeeded - to bring into the spotlight. The crushing poverty and oppressively suffocating drudgery of life in a dead-end small town without future, the desperate desire to get out and find a life you deserve instead of the one fate dealt you, the frantic attempts to find yourself and prove yourself, and the willingness to do *anything* to reach your goal and get out of Dodge Carp. This stagnant desperation of life on the fringes of nowhere was what Oliver managed to describe memorably well, and I loved that she did not shy away from the monotone hopeless mundanity of it. The atmosphere was brilliantly crafted, and I loved it. In this stuck-in-the-rut place there is a promise of the way out, however - it's the titular Panic, a game created a few years prior to the start of the book's events by local teenagers. It's a high-stakes Fear Factor-like¹ illegal competition between high-school seniors in which the last one standing wins upwards of 50 grand - enough money to hopefully turn one's life around and - for the current bunch of participants - a chance to leave the dying little town behind. Played outside of knowledge of adults or law enforcement and carried out by anonymous judges, this game focuses on overcoming the contestants' fears - even though, in a bit of silliness, fear of spiders and Russian roulette are somehow equated here, and with every adult oblivious to what's going on, even if over a few short years there has been a number of casualties and deaths in this tiny town, and quite a few kids suddenly and unexplainably came into possession of hefty sums of money. ¹ Panic - the game of bored teenagers in a sad little town. Featuring: cliff jumping, walking on planks dozens of feet in the air, blindfolded crossing of the highway, hanging out in burning buildings, spiders, tigers, guns, home invasions, head-on car collisions. You know, the usual I'm-bored-and-it's-Saturday-night hijinks. But the silliness of the premise of the game is possible to easily overlook, just suspending disbelief a bit. It's not what dissipated my enjoyment of this book. No, what I found to be disappointing was the lack of character growth, which for me is an assassination of otherwise passable story. The two supporting characters - Natalie and Bishop - have absolutely no development whatsoever. But the main two - Heather and Dodge - do not fare any better. Dodge, for instance, never stops being fueled by mindless drive for revenge, and it's only lucky unknowing interference by friends that saves him from (view spoiler)[committing coldly calculated homicide - homicide planned for little else but hurting the relative of someone who hurt Dodge's relative (hide spoiler)]. Dodge does not grow or mature or address his stunted psychopathic desires - he gets helped by a lucky turn of events, little else. Heather, planned as being the strong and sympathetic protagonist, has justifications for her initially immature and childish behavior piled on thick; she never has a chance to work through her issues but instead given a sob story with first her sister and mother, and then the unnecessary addition of tearjerking moment involving recollections of her father. It's not her growth we get to witness but rather the author trying to convince us of her noble and not-at-all stupid motivations, and really laying it on thick. The lack of development of the characters therefore left me cold and detached, unable to immerse myself in the story, unable to truly empathize with them, and therefore unable to care. What I also thought rang false was the complete lack of consequences for participating in this stupidly reckless game - the lack of consequences that did little but lower the supposedly high stakes. There was an excellent chance to bring moral grayness to the story when a bystander dies in the middle of this "game" - but (view spoiler)[no, god forbid our positive teen characters actually see their stupidity costing dearly; no, just kidding, their victim actually died because of his own stupid choices, no harm done. (hide spoiler)]. An attempted homicide - eh, nevermind, just kidding, we will just brush it under the table. Home invasion and burning of a building? Just child's play, no problem. Harboring illegal dangerous animals? No consequences as long as your heart is pure and caring. A game that is stupidly dangerous and ill-considerate of anyone else, in a true careless teenage fashion - well, but the good guys get the money so no harm done, let's carry on. I found such approach highly irritating, to say the least. I prefer stories where actions have consequences, not where everything gets nonchalantly swept under the carpet. And then the ending, the predictable, unexciting ending with an obligatory cinematic moment ((view spoiler)[Oh hello there, adorable vicious tiger existing just for the heartwarming moment of Heather petting you fearlessly! (hide spoiler)]) and leading into the sugary sweet "All was well" epilogue. Honestly, I do not care for twists and turns of the plot; I do not need unexpected developments to enjoy the story - but in this supposedly suspenseful book there was never any danger of it ending any other way than it did, and it therefore felt unnecessarily flat and boringly comforting, which - trust me - were not the emotions this book appeared to be aiming for. Overall, was it a bad book? Not at all. Did it use the potential it had? Sadly, not at all, either. Would it make an entertaining read on a rainy evening? Definitely. But would it make a lasting impression? No, not at all. Lauren Oliver is known for her pretty writing. This story had a lot of potential. Really – only a few things needed to be changed. Like, all the characters in the book, all the challenges of Panic, and the plot. That’s all. What a dingus. For an 18-year-old, she’s very childish. She decides to join Panic because her boyfriend broke up with her, and she loves him so much, and everything is his fault. Every time something goes wrong (because what could possibly go wrong), she blames Matt. Because it’s his fault that she joined. Because he had to go and find a girlfriend who’d put out. And her best friend is so beautiful and there’s this guy who likes her best friend, of course they’d like Nat, ‘cause who would love Heather, no-one will ever love Heather, ‘cause Heather always has a pimple on her face. Then there’s the fact that her mother is a drug addict and they live in a trailer, and we’re all supposed to feel sorry for her when she eventually wins Panic. Oh, I’m sorry, was that a spoiler? Of course she wins Panic. She’s the main character. Nothing bad could ever happen to precious Heather. Oh, I should also mention that in the beginning, she was not pretty, although everyone thought she was pretty, but during the game she got prettier. You know, so she could end up with Bishop in the end and feel good about herself. Was that another spoiler? ‘Cause that’s obvious from the very first page. And what was even the point of her little sister Lily? She was about as active as Dodge's sister Dayna, and Dayna was in a wheelchair. What did Lily do all day, sit in a car? Nat is afraid of checking her phone in the middle of the night and see no-one has texted. Nat obsessively counts numbers. Nat makes deals behind her best friend’s back, and strings Dodge along while she’s shagging some dodgy model scout. Nat’s IQ equals her shoe size. Dodge is equally stupid for not seeing that, but Dodge isn’t exactly Guy of the Year either. Dodge. Dodge, who doesn’t smoke because he wants a cigarette, but because he enjoys the autumn night… or something like that. Dodge, who plays Panic to help his paralytic sister, but when his sister starts wriggling her toes, he’s not happy. Dodge, who’s willing to cheat and kill his way through the game. Bishop. He was okay, but too perfect. (view spoiler)[The fact that he was a judge (hide spoiler)] was too predictable. I would highly recommend going into this expecting only entertainment value from it. I felt a bit detached from the characters, like there were 4 different undeveloped character arcs, but the plot was so interesting that I found myself not caring. If you're someone who needs to be able to click with the characters while you read something, though, I wouldn't recommend this. But I thought it was loads of fun and although it is completely unrealistic, I flew through it nevertheless. OMG THE CO I would highly recommend going into this expecting only entertainment value from it. I felt a bit detached from the characters, like there were 4 different undeveloped character arcs, but the plot was so interesting that I found myself not caring. If you're someone who needs to be able to click with the characters while you read something, though, I wouldn't recommend this. But I thought it was loads of fun and although it is completely unrealistic, I flew through it nevertheless. Panic was different than i expected! I just posted my full booktalk/discussion: http://youtu.be/uR0U9yVC17w ! I flew through it and enjoyed the characters, the only thing i wasn't too crazy about was the last chapter before the epilouge! It wasn't bad.. I'm just never satisfied with the way that Lauren Oliver's books wrap up. No. 1.5 stars. Rant Time. Littered with cliches and stereotypical characters. I swear the last 5 YA books read have starred the same female protagonist with a different name. Exact. Same. Personality. Again. And. Again. How many times am I supposed to read about an awkward, introverted, not popular, virginal girl (oh who also hates drinking) before I snap because that's the point I'm at. How many times am I going to suffer through a scene where a girl finally kisses the boy she likes only for an e No. 1.5 stars. Rant Time. How many times am I going to suffer through a scene where a girl finally kisses the boy she likes only for an emotional debacle to occur RIGHT AWAY simply because the two *idiots* *cough* aren't on the same page? I have been incredibly unhappy with the last YA books I have read and am seriously considering taking a break from them overall for the next few months. However maybe this is partially my fault, and I'm simply picking bad books. This cover is gorgeous!!! I can't even handle it! Seriously, what kind of sick and twisted world is this???? TELL ME MORE LAUREN OLIVER!!! I'm left feeling torn on this one. On the one hand I though it was an exciting and well written story about desperation, friendship, and wanting to prove yourself. On the other hand, the game Panic's frail, yet apparently enduring, nature was not very realistic considering the risks, keeping me emotionally detached, and I did find the plot ended up being fairly predictable. Panic is a game where facing often life-risking fears can win you a small fortune - 50,000$ worth. Absolutely interesting a I'm left feeling torn on this one. On the one hand I though it was an exciting and well written story about desperation, friendship, and wanting to prove yourself. On the other hand, the game Panic's frail, yet apparently enduring, nature was not very realistic considering the risks, keeping me emotionally detached, and I did find the plot ended up being fairly predictable. Panic is a game where facing often life-risking fears can win you a small fortune - 50,000$ worth. Absolutely interesting and full of adrenaline, but you do have to suspend disbelief in some areas. Mostly by how poorly managed it seems. For a game that wins you over 50k and involves you playing Russian roulette among other things, who are these people trusting? Kids do stupid things for less all the time, but these stakes are extreme and we know that Heather, for one, is doing it for the money - for her sister. Don't they wonder what's stopping this secret leader no one knows about from running off with the 67k? Then at one point, two of the players decide to take the game into their own hands and put some of the players through solo challenges, eliminating them, and it was apparently okay. It was all very unfair and disorderly. Plus, especially for a small town that normally has involved communities, I find it hard to believe that parents and cops would be oblivious to the game's existence and not press to get this stopped. I mean, kids are dying, getting paralyzed, burnt, drowned, not to mention the harm they're putting others in by crossing the road blindfolded in front of unsuspecting families and such. It's not as if they were so good at being secretive either - scrawling their meeting times on a water tower is not exactly inconspicuous. There are a lot of gray areas you have to overlook. The writing was wonderful, as I expected. I was a big fan of Before I Fall for the depth and meaning of the story, and I saw this here as well. The desperation is obvious; the need for Heather to be a part of something big, reckless. To stand out for once. To take control. The pressure, anxiety, and adrenaline rush from each dare is also unmistakable. I found myself holding my breath more than once. She's a strong willed person that I liked to root for. I also sympathized with her family situation that drove her to keep going. Desperation is a strong force and this is well displayed here in both narratives. Dodge is our other main character who's a bit of a loner and in the game for revenge. He harbors a lot of anger, turning him into this intense character. I did find he could be inconsistent at times, making it difficult to fully grasp his personality, but he was quite interesting! Although I have no clue what he saw in Nat or why he was even attracted to her, aside from her appearance. She was not very nice to him, useless and a drag in this game, even double-crossing her best friend. She did get better towards the end, thankfully. Bishop did not get enough face time for me to feel like I really knew him. I did appreciate the romance blooming from his and Heather's long-time friendship, though, but what changed her mind from "it would be like kissing my brother" to being in love with him remains unclear. My review may list the less than positive aspects from this book, but I did enjoy it overall. Above all, I liked the psychological aspects surrounding this game, as well as the depth and dramatic intensity of both the characters and plot. I liked that it looked into fear as being something you can, and sometimes have to, conquer. I was hoping for a more tragic ending, though, but I was overall satisfied by the reality TV-esque fun rush that I got from this novel. Overall I felt that this was an exciting non-deep book. The characters were pretty flat, and their backstories were badly fleshed out, but I didn't care.. for me, this book was all about the crazy intense challenges, and boy did it deliver! Some of the challenges were so crazy I actually found myself feeling nervous for the safety of the characters! If you're looking for a book about "facing your fears" or "overcoming adversity" or "anything else deep" I don't think that this does a good job.. b Overall I felt that this was an exciting non-deep book. The characters were pretty flat, and their backstories were badly fleshed out, but I didn't care.. for me, this book was all about the crazy intense challenges, and boy did it deliver! Some of the challenges were so crazy I actually found myself feeling nervous for the safety of the characters! Disappointing. This book lacked something that "Before I Fall" and the "Delirium" series did such a great job of creating - that sense of desperation. Without it, Panic was just a stupid game. And I would have been fine accepting it as such, but I felt Oliver threw in too many sob stories that failed to pull at my emotional strings, leaving me calloused and disconnected from the characters. I was very confused for the f Disappointing. This book lacked something that "Before I Fall" and the "Delirium" series did such a great job of creating - that sense of desperation. Without it, Panic was just a stupid game. And I would have been fine accepting it as such, but I felt Oliver threw in too many sob stories that failed to pull at my emotional strings, leaving me calloused and disconnected from the characters. 1) How do you become a judge? Do you choose to be one, or are you asked? Wouldn't more people want to be one - is their cut less? 2) Also, I thought the wild card was kind of lame. If you're out, then you're out. For a game like this, I wouldn't expect second chances - disqualification or not. And I thought the book was leading up to some huge final challenge at the end, but I felt the end was rather anticlimactic. Don't' get me wrong, it's still a scary enough showdown, but I just felt the previous challenges were more intriguing or heart-stopping. I'm not sure if it's the way it was written or if it was the way the scene played out, but I was just left thinking, "What? That's it?" It didn't help that I didn't like Heather from the start, and she never grew on me either. I get that having your heart broken changes your views on things, and you can't help but feel inferior, which makes you feel sorry for yourself. But it got to be too much to me. On top of that, she was a witch to her mother (understandably so), so to her friends (not so understandably so). It's as if she's met with the first sign that something is not going her way, she shuts down and get angry and lashes out. Even when she's being good, I just felt like she was a ticking time bomb. Nat - She was the biggest character disappointment in this book. Since the beginning, she was a mystery to me. Why did she want to join Panic? I mean, I knew, but the way she acted, I kept waiting for Oliver to blow us away with her motives. She seemed like such a complex character with hidden issues that we were bound to find out more about. I couldn't decide if my dislike for her was premature or whether I could trust her, and I was so sure, something was bound to happen. Never did. Dodge - Now here was a complex character that Oliver did a better job at portraying. However, I couldn't like him because he was too blinded by his motive that he did too many stupid things. In a way, I have to give Oliver props for writing his character successfully, but I can't say I liked him. LOL. Half of the time, I just wanted to smack him around. I think I would have appreciated his character more had the others shown as much character development. In conclusion, it wasn't a bad story. I think I would have given it three stars for liking it enough, but I had issues with it too. All in all, it was just okay. I think 1) this could have been a really exciting game, full of heart-stopping action or twists and turns that could have had me on edge as I'm flipping through the pages. But it didn't do that. Or 2) it could have been a stupid game that I didn't really take too seriously, even though the danger would have made it a pretty good thriller. But there were too many emotionally strong situations (that failed to move me), so I couldn't write it off as tragically stupid. This was such a fun read! The only problem I had was that I didn't really feel for any of the characters. I also wasn't a huge fan of the ending. Compare Panic to one sorority/fraternity hazing gone horribly wrong, and you'll know what you're getting into before you pick up the book. Funny thing is, I started out noting a lot of positives (all of which were turned on their head). I was in love with the refreshing normalcy of the characters' behavior. 3. One of the girls got tired of waiting for the guy to kiss her so she asked him straight up if he was going to. A few pages later. Compare Panic to one sorority/fraternity hazing gone horribly wrong, and you'll know what you're getting into before you pick up the book. A few pages later... HAH. JOKE'S ON ME. THESE KIDS ARE ALL WHACKED. I didn't even hate that, though. This isn't going to be the book for everyone. It's dark. It's contemplative. It explores character behavior outside of the actual game itself. Either you'll kind of appreciate what the author is trying to do, or you'll want to throw your book at the wall. Neither reaction is wrong, me thinks. I actually didn't mind the characters. I don't even think I minded how it got all wtf-ery up in the place toward the end. Roaming tigers and games of chicken? Ohhhhkaaaayyy. These things will certainly make for a crazy movie version. Is it sad that I'd almost hope the movie is taken off-kilter and done in the style of the cult classic Heathers? I'd almost want the scene at the end with the tiger and the head pat to mirror Winona Ryder pulling out that darn cigarette at the end of Heathers (Yay! Let's Watch it Again! - be prepared for language) No, the book and movie do not have the same ending, so I'm not spoiling anything. You're safe. That's not to say that there weren't some entertaining (if bizarre) moments, but this was not as entertaining of a book as I'd hoped it would be. Maybe I've watched one too many made-for-t.v. movies where kids jump off water towers, play road chicken, or do one of a thousand other things for the sake of money, notoriety, a sense of belonging, admission into a secret society, etc. Most of those movies were more entertaining than this book was. Do I think Lauren Oliver had a good idea in exploring the mindset of what drives people to do what they do? Yes. Do I think we could have wrapped this entire story in about 50 less pages? AB-SO-LUTE-LY. Where Oliver does succeed (as far as I'm concerned) is in creating unusual and interesting characters. I know that some people hated the characters, but I didn't. This is what Oliver does. I saw it in the Delirium series, and I saw it here. My complaints are rarely with her characters, but more about the story they are encased in. It just kind of sucked how things hit the downward spiral and I felt sucked into something almost un-redeemable. By the end, the game was out of control, and I hated that I was questioning everyone's motives and decisions. I didn't want to have to go there, especially after finding the characters so refreshing in the first half. It went dark, but dark had become a parody (which is why I'm rooting for the Heathers-esque twist), which I didn't fully appreciate. Yet, I think I kind of liked the book. It's just funny how I had to even stop to decide whether or not I liked it in the first place. Usually, you just know one way or the other. This time, I wasn't so sure. Who I would recommend the book to : People who like watching other people struggle with basic life decisions. You're going to be witnessing each character deal with their own demons, and you might be sitting in the dark with them as the game unfolds. Who I would not recommend the book to : Anyone who wants non-stop action, anyone who hates when books meander somewhat in the middle for the sake of character exploration, or anyone who needs to love the decisions that their characters make. Not everything is always as it seems upfront. I'm beginning to think Lauren Oliver basically makes the same errors in every single book. She starts off with an intriguing concept, flowery writing, gorgeous atmosphere, and great character voices. And then she just... fails to deliver on any of it. The issue is that she often turns the focus onto romance and leaves character arcs and plot arcs to languish. As per usual, we start off with a cool concept and atmosphere. Everyone at Heather’s small-town high school pitch I'm beginning to think Lauren Oliver basically makes the same errors in every single book. She starts off with an intriguing concept, flowery writing, gorgeous atmosphere, and great character voices. And then she just... fails to deliver on any of it. The issue is that she often turns the focus onto romance and leaves character arcs and plot arcs to languish. As per usual, we start off with a cool concept and atmosphere. Everyone at Heather’s small-town high school pitches in money to form the jackpot, then compete for this money at the end of senior year. The anonymous judges set a series of challenges and life-risking events, in each round, one person gets out. As usual, the small-town atmosphere is pitch-perfect. I almost felt the claustrophobia and desperation of these characters. And yet again, as usual, Oliver nails character voices. It's hard to distinguish first person tense, yet Oliver does it perfectly here. Heather and Dodge do sound very different. And in general, I adore Lauren Oliver's character voices. The character voices were what made Delirium and Before I Fall so enjoyable to me. I also enjoyed the squad Heather, Natalie, Bishop, and Dodge formed. There are two issues here. Number one is lack of character development. Panic begins to succeed with character work, and then begins to fall flat by failing to truly make the reader remember them. Heather and Dodge do have distinguishable voices, and yet neither of them are really pushed to their limits. The issue is neither ever make that step into being life-changing characters. Number two is the plot lacking any sensical character motivation. As a result, the novel becomes completely confusing and nonsensical. I was engaged, but also totally confused. This novel is truly weird. It’s a strange blend of suspense and contemporary that actually somewhat works. Panic takes on this odd feeling of magical realism which blends perfectly with Oliver's writing style. It feels both real and removed. Lack of character motivation is really this book's biggest problem in terms of believability. While the game seems interesting at first, it truly doesn’t make much sense for this small town. Flimsy worldbuilding - strike one. But the real issue is that the characters joining Panic makes no sense. There’s no clear motivation for Heather to join Panic in the first place. $50000 should not be worth the risk for her, and she makes her decision too quickly. Dodge’s motivation of revenge is slightly more believable, although still kind of ridiculous. This lack of true motivation makes the characters seem flimsy when they’re actually pretty good characters. Initial reaction: I really wanted to like "Panic" more than I actually did - some of it had measures where the character background and emotions were potent (particularly with Heather and Lily's circumstances), but I was surprisingly unaffected by much of the novel despite the daredevil stunts and overarching game the teens played. You would think for something with such high stakes it would be more enthralling, but alas, for me? Not so much. It's been a while since I've read "Panic" Initial reaction: I really wanted to like "Panic" more than I actually did - some of it had measures where the character background and emotions were potent (particularly with Heather and Lily's circumstances), but I was surprisingly unaffected by much of the novel despite the daredevil stunts and overarching game the teens played. You would think for something with such high stakes it would be more enthralling, but alas, for me? Not so much. It's been a while since I've read "Panic" and I've had some time to reflect about my thoughts about it. Verdict? This wasn't as memorable of a story for me, though I did connect to certain parts of it. The title "Panic" has a central focus in the story, but it doesn't evoke the very emotion that's implied in definition very well. "Panic" refers to a game that high school seniors in the town of Carp play after pooling money together and, by the direction of mysterious judges, partake in some rather risky games. Games being things like jumping off cliffs, stealing guns and other stuff from a person's house, getting trapped inside a burning building, and walking across a highway while blindfolded. The game's said to be a tradition in this little town, while being kept secret. In the end, there can be only one winner. There were some plot details that didn't seem plausible for this scenario (seriously, how did they get away with this stuff? ), but I decided to suspend my disbelief and run with it. Oliver's writing isn't quite as well drawn in this book as it is in books like "Before I Fall" or even the "Delirium" series. Oddly, for a book with such decidedly high stakes, it kind of plodded along. The audiobook narration by Sarah Drew was just okay - I think I could've gone with the physical read alternatively if I'd had the choice to read it again. Sometimes her tone was a little shrill for the character emotional inflections. The narrative has a third-person narration, with two main characters: Heather and Dodge. Each of them have their own motivations for playing "Panic" - which - in a narrative parallel - involve their families. I think Heather's circumstances were a little more palpable for me personally, since I saw the relationship with her sister, the abrasiveness of their mother, and how they connected with the eclectic lifestyle and animal preferences of Ann, who takes them in during a difficult measure. With Dodge, his quest is more bent on revenge resulting from horrific circumstances in his family (which does take a positive turn later on, but Dodge still isn't satisfied). It was hard to feel for his reasons because it was drawn so...shallow. Not to mention that his character really doesn't change all that much (compared to Heather, who does have some growth, although more minute than it could've been). I'll admit that despite some moments of purported intensity and conflict, the character study in this book was a little disappointing. It didn't feel as rich or raw for me to believe in it, even during the moments of peril (and even resulting death!) that the characters encounter during the upped stakes. It does aptly feel like a teen narrative as these characters take the "plunge" and engage in all of these different stunts. I really wish that I could've connected to the characters more, because I felt like the ending of the novel would make more sense with the narrative victory and the alluding to being able to take chances and reap the rewards of those chances with moving to the next step in one's life. It had a good set-up, I just don't think the narrative itself made the most of the space or pull. Oliver's written more compelling narratives than this, and for me, this fell a bit flat. Not one of her best works, but I think moments of the novel had merit enough to stand on their own for what it aimed to show. Recommends it for: Fans of contemporary books with drama and a bit of action. This one was very disappointing, because I had high expectations and I feel like the synopsis misled me. I picked this book thinking ''A competition? I love competitions! You’re mine baby.'' The synopsis left me (almost) drooling. I wanted to read this newly published book by the acclaimed author Lauren Oliver badly. I was sure I was going to have a blast reading it. I was kind of wrong. This is really a contemporary. There is so much drama. Heather has problems with her mom and is heart-broken. And is so whiny. Maybe if I started this book thinking I’ll read a contemporary story with some real life matters and drama, I would’ve enjoyed it more. But I didn’t because I wanted more ACTION! The challenges were very uncommon and I thought some were well thought of. Except, there weren’t many and one that I really wanted to witness (the one with spiders), was ''cancelled.'' Urgh. The writing was actually pretty nice but, again, disappointing because it’s not as good as the writing in Delirium. It reminded me a bit of Michael Grant’s writing in the Gone series. The characters weren’t bad either but very common and there wasn’t much developpement there, except a bit for Heather. Do I recommend this book? Huuumm, if you have nothing else to read, then yes. But if you have the choice between Panic and another book like, for example,To All the Boys I've Loved Before(in the contemporary genre), pick the latter. What's w 5 words: Silly children playing dangerous games. This is seriously how I look right now. je 3:15 a posledni stranky jsem malem nedychala... ani se mi nechce spat. tak asi... budu zirat do stropu. Every part made my heart race. Oh, Lauren Oliver, I just love you. Lauren Oliver has been an on and off author for me. I loved both Before I Fall and Delirium, but Pandemonium and Requiem fell flat for me. So before entering this book, I was uncertain of what I'd think and what do expect from her this time around. I think Panic caused a lot of confusion for me. I went in thinking it was a dystopian novel because it's been shelved 'dystopian' around 70 times. But let me confirm to you: This is a contemporary novel. The main aspect that threw me off from the get go was the point of view. Panic is narrated by two protagonists and both are in third present. I think it's pretty unusual to come by in contemporaries. Personally, I don't handle third person narrations well because I like to have a strong sense of connection with the main character(s). Luckily, it did grow onto me in the duration of the 400 pages, but it made the first quarter difficult to venture by. Panic is told by Heather and Dodge--though really there felt like four main characters (Heather, Dodge, Natalie and Bishop). Heather and I did not get on the right foot. She's a mentally weak character and is still reeling from a break-up. Her characterization was well done however she's not the type of protagonist I like following. Overly emotional, whiny and annoying. I do get it, your boyfriend broke up with you and you don't know what you're meant to do with your life now but geez girl, it's not that horrible. As for Dodge, he was definitely an improvement. I liked his back story and reason for joining the game, Panic. His sister had been part of the game a few years earlier but when it came to the final round, she got terribly injured and now may not even be able to walk. Dodge is here for revenge. His personality was determined and strong, which I liked. I do believe I should briefly explain how Panic works. Basically when you reach freshman year, everyone needs to start pitching in money and by the end of high school all this money is added up. The total is usually around $50000, and the winner of Panic receives this as prize money. To win, the judges (who are anonymous) set a series of challenges and life-risking events, in each round, one person gets out. Despite a pretty intriguing idea, the plot just did not work. Surely parents, guardians, teachers or even the public would notice what these teens are up to and stop it completely. Furthermore, why the heck would people want to enter this game in the first place. You can die, get fatally injured, get caught by the cops etc. The dangers are endless. $67000 is not worth any of that. I like the idea of revenge to let everyone see what you're made of but Panic is not a smart way to go by it. The romance was very disappointing. At first, I was surprised to discover that Heather and Dodge were probably not going to end up with each other. I liked that. I liked how Lauren Oliver was going to not go with the story cliche. However the characters she brought in as the love interests were disagreeable. There was zero chemistry and the characters that were involved weren't too likable either. Lauren Oliver's latest was overall a let down due the flaws in characters, romance and logic. But the author did a great job of showing how a game can get so serious when friendships are tested and betrayals are made. A seriously intense read. Esse livro me surpreendeu. Não imaginava que fosse gostar tanto dele quando comecei a ler. A escrita da Lauren Oliver é muito fluida e rápida de ler. Não é à toa que terminei em menos de 48h esse livro. A progressão da estória é muito boa e faz com que você não consiga parar de ler. Sempre queria saber qual seria o próximo desafio de Panic. Todos eles foram muito legais e exatamente o que você imaginaria que adolescentes bestas inventariam para esse tipo de idiotice. Gostei muito como a autora a Esse livro me surpreendeu. Não imaginava que fosse gostar tanto dele quando comecei a ler. A escrita da Lauren Oliver é muito fluida e rápida de ler. Não é à toa que terminei em menos de 48h esse livro. A progressão da estória é muito boa e faz com que você não consiga parar de ler. Sempre queria saber qual seria o próximo desafio de Panic. Todos eles foram muito legais e exatamente o que você imaginaria que adolescentes bestas inventariam para esse tipo de idiotice. Gostei muito como a autora amarrou diversos elementos que inseriu no livro. Cenas que apareceram no começo do livro foram relevantes para acontecimentos no final. Isso é algo que eu admiro muito em autores que conseguem fazê-lo sem serem muito óbvios com o foreshadowing. Há dois pontos de vista no livro e os personagens principais são bem desenvolvidos, mas eu me senti mais conectada à Heather que ao Dodge. Acho que isso se deve principalmente ao fato que a jornada emocional dela tem muito mais a ver com o tema geral do livro que a dele. Ainda assim a construção dela me pareceu mais sólida. As motivações do Dodge, apesar de críveis, eram de certa forma mais fracas. A situação em que a Heather se encontrava era mais urgente e justificava melhor a participação dela. Mesmo que a razão de ter entrado fosse insípida à primeira vista, depois que a conheci melhor, empatizei muito. Panic não é um livro contemporâneo YA ultra mega profundo. Não tem uma mensagem que faz você pensar por horas. É um livro comparável à um filme de sessão da tarde. Que você lê, se diverte muito pelo tempo que passa com ele e depois vai ler outra coisa sem nenhum problema. Panic: a game played by graduating seniors in the dead-end town of Carp, where all contestants must face their worst fears - and each other. Heather never thought she would participate in Panic, but when her broken heart finds a new cause to fight for, she readies herself for the ride of her life. Dodge, on the other hand, does not feel scared of Panic; he wants revenge, and that thirst will drive him throughout the game. Amidst the near-death experiences thrust upon them by the judges of Panic, both Heather and Dodge will discover new things about themselves, each other, and those around them. Even though Panic entails a cash prize, every contestant, including Heather and Dodge, wants something more. Panic possesses a compelling concept and an enticing book jacket, but I found the content lacking. The game itself required a severe suspension of disbelief - even then, I wanted to know more. 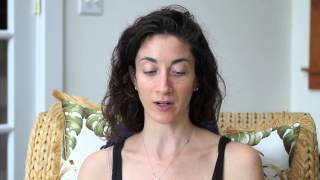 Lauren Oliver describes the atmosphere of Carp well, but I desired more knowledge about Panic: why do the judges act the way they do? How is it that the police never seriously stepped up in years past when people have gotten injured? The questions I came up with may have added to the mysterious and threatening appeal of Panic, but at the same time it left the plot feeling a little loose and undefined. With no strong grounding, Oliver's story structure almost felt like darts thrown at a wall - it still hit and had an effect, but it could have been more cohesive. The lack of competent character development detracted from my liking of Panic the most. Only at about 200 pages in did I start to root for Heather, and both Heather and Dodge could have used more fleshing out. Their motivations for participating in Panic, their relationships with their families and friends, their opinions of each other - all of these aspects, while present, would have benefited from more explanation. The ending also left me feeling disappointed because it failed to give either character the growth or depth they needed. Overall, not the worst book - Panic kept my attention even if it did not have me flipping the pages. Oliver can write well, and I will still read what she publishes next. I just hope she will improve upon this novel and return to the glory days of Before I Fall. “She knew, now, that there was always light—beyond the dark, and the fear, out of the depths; there was sun to reach for, and air and space and freedom.